Last night Lionsgate held a private premiere in NYC for their highly anticipated film “Blood Brother”. The movie which is led by superstar Trey Songz is sure to make some noise after last nights screening at the Regal Cinema. 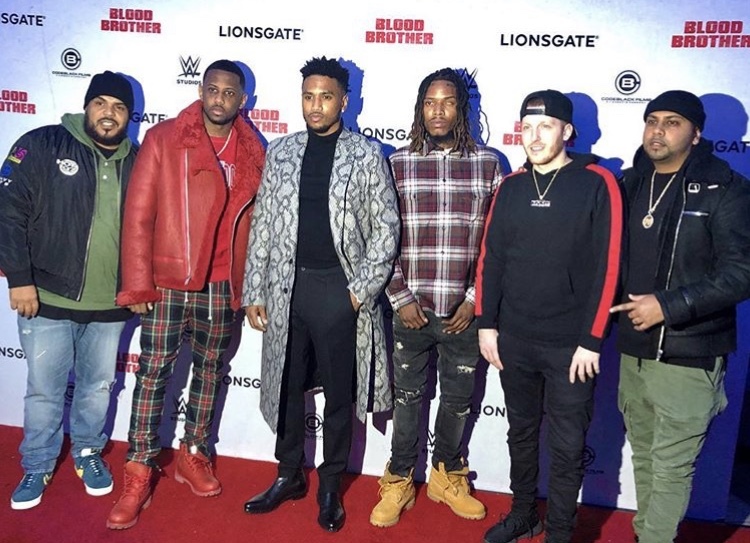 Now, of course, Trey was in attendance along with his co-stars Fetty Wap, Noelle Renee Bercy, Hassan Johnson, and the film’s director John Pogue. If that wasn’t enough his family and some celebrity friends including Fabolous, PnB Rock, Angela Simmons and DJ Enuff were all in the building support the rising movie star in his first lead role. Check out pics and exclusive footage from the special Q&A that followed screening as Trey & John Pogue open up about the filming process. Look for the movie which also stars Jack Kesy, China Anne McClain, Lindsay Musil, Tanee McCall & Fetty Wap in selected theaters today or on digital demand NOW.